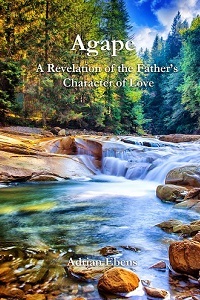 The mission of the Son of God on earth was to reveal the character of His Father. In the New Testament we read of Christ lifting burdens, healing diseases, and touching the hearts of men, women, and children. Mothers earnestly desired to bring their children to Him that He might touch them and bless them. Never had the world witnessed such selfless, caring love. With every passing hour the picture of His Father was being revealed. A picture they had never really seen before. The overwhelming picture that Jesus painted for us was a perfect match for the words spoken to Moses nearly 1500 years earlier. Yet the life of Jesus was painted upon a canvas stained with blood. As the twelve year old Jesus stood in the temple and watched the lamb being slain, He knew this was His destiny. When John the Baptist proclaimed Him to the world, it was with the title of “the Lamb of God that takes away the sin of the world.” John 1:29. The wages of sin must be paid, justice must be served as the Scriptures say. Did God require the cross? Was this His punishment for the transgressor of His law? These questions are vitally important. If the wrath of God was satisfied in the death of His own Son and this death was something that God Himself had determined, then ultimately the beautiful picture painted by Jesus concerning His Father is stained with the blood of an innocent child. The words of Christ, “It is finished,” would not complete the picture of a wonderful Father, but rather it would forever enshrine the belief that God demanded death to satisfy His anger against sin. This would make Him the author of death and the instigator of violent retaliation. The prophet Isaiah spoke about the cross of Christ 700 years beforehand and he revealed our human response to it. Who hath believed our report? and to whom is the arm of the LORD revealed? (2) For he shall grow up before him as a tender plant, and as a root out of a dry ground: he hath no form nor comeliness; and when we shall see him, there is no beauty that we should desire him. (3) He is despised and rejected of men; a man of sorrows, and acquainted with grief: and we hid as it were our faces from him; he was despised, and we esteemed him not. (4) Surely he hath borne our griefs, and carried our sorrows: yet we did esteem him stricken, smitten of God, and afflicted. (5) But he was wounded for our transgressions, he was bruised for our iniquities: the chastisement of our peace was upon him; and with his stripes we are healed. When Christ came to save humanity our natural collective response was to reject Him. He came to offer us eternal life, but the natural human reaction was to despise this offer. The Son of God was carrying our sins upon Him, and yet our response to Him was to believe that He was being smitten by God. The words stricken and smitten mean to beat, to strike and violently kill. But it was not God who violently struck the death blow to His Son on the cross; this is what man believes, but it is not true. So what caused the death of the Son of God upon the cross? The pattern was set in the very beginning when Adam was asked if he had eaten of the tree of the knowledge of good and evil. Adam never asked for mercy or forgiveness. His sin had blinded his perception to such an extent that he never thought to ask for it. Instead of accepting his guilt and asking for mercy he placed the blame upon God for creating Eve who then tempted him. He imagined God to be harsh and punishing in nature, and so the true character of God was hidden from him in this falsehood. In the story of Cain we can see this same principle in operation. Cain refused to repent because he believed that God would not forgive him. This is the power of sin over the human race; it is the sin of believing that God cannot forgive our sins. Even the prodigal son does not ask for forgiveness but rather seeks to pay for his deeds himself through work. The only way for man to repent is for the Spirit of Christ to be given as a gift to enable us to reach forth our hands and ask for and receive forgiveness. In order for God to give Adam the ability to repent and ask for forgiveness, He sent the Spirit of His Son into the heart of Adam that Adam might cry “Abba Father.” Only the Spirit of Jesus in Adam could give him grace to give this cry. In coming to Adam while he was utterly unreceptive, Christ was forced to endure hostility in the heart of Adam in order to give him grace. This animosity pierces the heart of Christ and causes Him terrible suffering. It is therefore in this sense that Christ is the Lamb slain from the foundation of the world. Revelation 13:8. In order to give men the desire and will to ask for mercy and forgiveness, Jesus must suffer the agony of human rejection and hatred. He is despised and rejected of men and a man of sorrows and acquainted with grief. Every time men and women resist the appeal of Christ to the heart, the rejection pierces Him to the depth of His love for their soul. Every manifestation of evil from human hearts causes Christ indescribable sorrow both for perpetrator and victim. From this perspective indeed Christ was despised and rejected of men in the days when Isaiah wrote those words seven hundred years before Christ appeared on the earth. Therefore today He carries the same grief as a cross upon His shoulders in order to give humanity more time to turn from their cruel and harsh ways and learn the truth about His Father. As the human race determined not to believe that God could forgive, this is the price that Christ had to pay in order to redeem the human race. In order to take our place He had to die as men die. This death is one in which the sinner believes that God will not forgive him. The lie that God cannot forgive is what gives Satan the power of death. Therefore, it is only through death that Christ could defeat Satan. The death of the cross is the death that sin demands – not God. Once someone crosses the line into sin it becomes impossible to come back, as all perception of mercy and grace are gone, and the only possible outcome is death. When man looks into the perfect law of God as a mirror and seeks to attribute death to God, the reflection immediately comes back onto man and destroys him. When Adam took the fruit of the tree he chose to believe that God did not have his best interest at heart. He chose to believe the serpent, that God was a selfish liar. These thoughts, projected onto the perfect mirror of the law, came straight back to him and judged him as he perceived. His false conception of God completely withered his hand that would have, and should have reached out for mercy and grace. It was impossible for him to come back from this position. Death must be the result, for this is the sentence that he himself had determined. God did not forsake His Son at all. Yet as Christ was carrying our sins upon Himself, He died as the man who cannot be forgiven for this is the will of man – the man who, when his sins are pressed upon him, thinks he can’t be forgiven or hasn’t come to an assurance of forgiveness will feel forsaken by God. In these words of Christ we see the curse of sin upon Him, the curse expressed by Cain. The shame of our sins covered the face of Jesus so He could not see the Father’s face. He faced death as every sinner will face death at the conclusion of the great controversy. Christ felt the coals of fire in His soul. Christ suffered the death of the wicked. A fire came forth from the midst of Christ and devoured Him. Our sins upon Christ caused Him to suffer as Satan and all the wicked will suffer in the end. No father can rejoice at the loss of a child, it is agony for him and so our Father and His Son will suffer again the agonies of the cross with the wicked in their death. As the righteous stand upon the walls of Zion and see those they have loved in those flames, the Saviour will have to carry them through that cross and it will take a thousand years to prepare them for that event. Like Mary and the disciples when beholding the Son of God on the cross wept in agony, so too will the righteous be pierced by the eternal loss of their loved ones who refused the grace of God. Only then are we told that God will wipe away every tear from our eyes. Coming back to the suffering of Christ on the cross we want to notice something. We observe that although Christ was in the very depths of despair when He felt completely alone and isolated, by faith He asked the Father to forgive those killing Him. The death of the cross unmasks Satan’s lie that God cannot forgive us. We see that God willingly gave up His Son to our human perception of justice. He allowed Him to die without hope, in order that once we see He had risen from the grave, we might then choose to believe that we can indeed be forgiven of our sins and receive the blessed hope of newness of life. The Spirit of the Son of God comes into our hearts and lifts our spiritually withered hand to take hold of the mercy of God. How wonderful to know that God did not demand death. He does not stand toward the sinner as an executioner of the death penalty. Our Father willingly allowed His Son to show us the end result of those who refuse to believe in the mercy of God. He did not kill His Son to avenge His wrath, rather He gave up His Son to our wrath that through this death we might see the love of God. The warning that God gave in the garden that in the day Adam should eat of the tree of knowledge he would surely die, was not a threat to kill him; it was a warning of the judgment that man would bring against himself by choosing to believe that God is selfish, and therefore, He would not forgive. It is a beautiful truth that only Christ who alone understood the height and depth and length and breadth of the love of God, knew that it was possible to ask God for mercy and forgiveness. Matthew 11:27. It is therefore clear that the Son of God is the one reaching into the hearts of men to give them courage to believe they can be forgiven. How wonderful is the revelation of the cross. Let us not continue to consider Christ “smitten of God and afflicted” but rather that He is “despised and rejected of men” – smitten and afflicted through a wrong understanding of the character of God. God did not demand death as a penalty for sin; death is rather the sure result of believing that God will not forgive.